Hi! 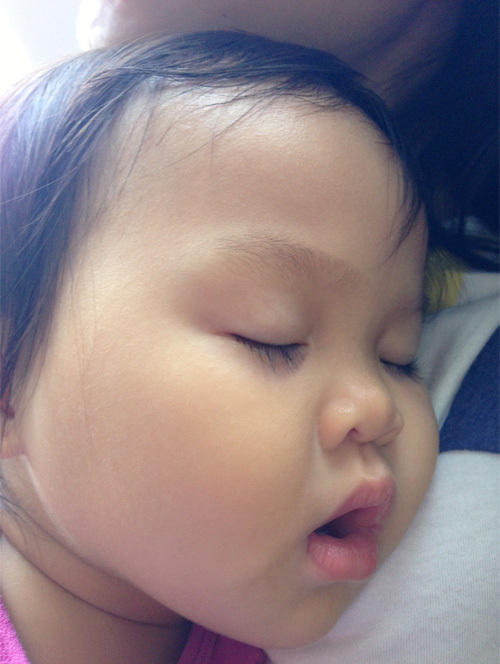 Continuing on from my previous Bintan Trip post..
Kaitlin was asleep while on our way there, but she woke up just when we reached! Perhaps she could sense that the fun was about to begin! We explored the place a little bit more.. It was time for Kaitlin to nap so we took a walk outside and strolled her to sleep. She was fast asleep when we passed by the mini zoo but we decided to check it out anyway! Of course..she had to wake up when we just got back to the room so we didn't get to rest D: Also, it was almost time for us to shower and prepare to leave for our dinner! Thanks to Google and some of my quite awesome research skills, I found out about Baan Aarya (you've to take the hotel's shuttle bus to get there) which was a Thai restaurant. It's quite weird that we are eating Thai on an Indonesian island but the place seemed beautiful from the pictures online and it was recommended for a romantic evening, so I booked a reservation for Daddy Li's birthday dinner there. The still looks quite bright in the photos as I chose for us to dine while watching the sunset. We didn't sit outside though cos we were afraid of the mozzies. Sidetrack - why do mozzies even have to exist?! They should all just die so that we can admire the scenery in awe and other stuff instead of scratching away! The sky turned dark really fast so we headed back in. Here's Kaitlin enjoying a glass of freshly blended juice before she got really active and fidgety and started walking around. Thankfully we were the only ones there at that time so it wasn't all that bad. 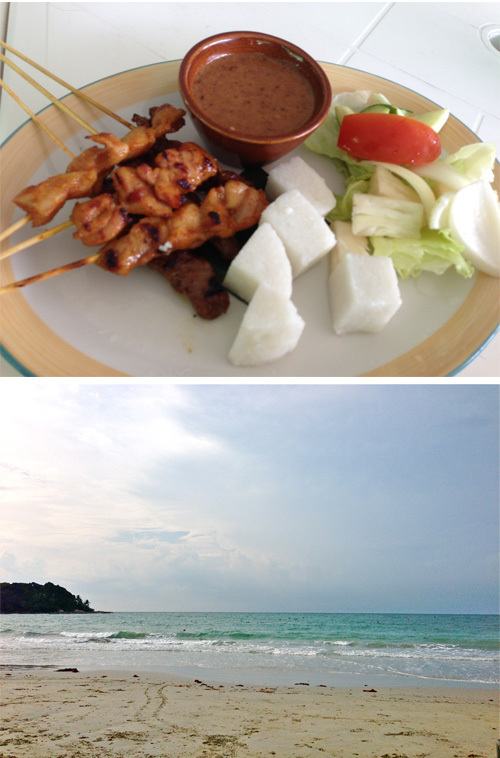 Sorry for the poor quality photos, but the food was really good and I would totally go back there again if we holiday in Bintan. It was a really great dinner with good food and great service plus a gorgeous view. We went back to our room after to change into more comfy clothes and headed to the bowling alley since it was still pretty early. Played one round and then headed back as it was nearing Kaitlin's bedtime. She went to sleep pretty well considering that we were in a different environment so that was great. It was a really long day for us and Daddy Li zonked out first. I did a little more "chores" around the room like boiling water and cleaning up stuff and surfed the net a little and joined them soon after. So that's basically how our first day went! Will blog soon about how we spent the next day.